LCD display does not work - LCD flickers, LCD changes colors, LCD has static. iPad 2: A1395, A1396, A1397. 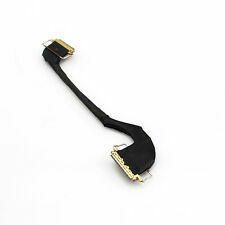 Original New LCD Connector Flex Cable For iPad 2 2nd Gen. You will get 1 x OEM LCD Flex For iPad 2. Only Works for iPad 2nd Generation ModelA1395 A1396 A1397. For Apple iPad 2 2nd Gen A1395 A1396 A1397. 1 x LCD Connector Flex Ribbon Cable. This is our SOP, for us to be certain and for record purposes. Good quality with reasonable price. Flex Cable (LCD) for Apple iPad 2. Flex Cable (LCD) for Apple iPad 2Compatible Models:A1395A1396A1397. Compatible Model: For Apple iPad 2. Type: Flex Cable. Customer satisfaction guarantee! LCD Screen Flex Ribbon Cable for iPad 2 2nd Gen. Replace the cracked, defective, non-working LCD Screen Flex Ribbon Cable. (see picture for detail). Replacing and repairing the parts is not easy. Top Quality. LCD Back Covers. LCD Video Cables. Audio Ports. LCD Bezels. LCD Complete Assemblies. LCD Screens. This Apple iPad 2 LCD Video Cable is tested working. Wireless Cards. 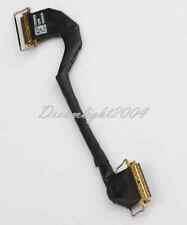 This Apple iPad 2 LCD Video Cable DLC2372 09CUDG9H is tested working. LCD Back Covers. LCD Video Cables. Audio Ports. LCD Bezels. LCD Complete Assemblies. LCD Screens. Wireless Cards. LCD Back Covers. LCD Video Cables. Audio Ports. LCD Bezels. LCD Complete Assemblies. The Apple iPad 2 Tablet LCD Video Cable has been graded A. This item is 100% functional, and in very good condition. This Apple iPad 2 LCD Video Cable DLD1257 DGH9HBW is tested working. LCD Back Covers. LCD Video Cables. Audio Ports. LCD Bezels. LCD Complete Assemblies. LCD Screens. Wireless Cards. 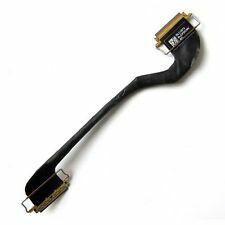 This Apple iPad 2 LCD Video Cable DLC1133 061SDG9H is tested working. LCD Back Covers. LCD Video Cables. Audio Ports. LCD Bezels. LCD Complete Assemblies. LCD Screens. Wireless Cards. 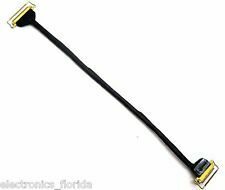 This Apple iPad 2 LCD Video Cable CYN3434 DG9HCX is tested working. LCD Back Covers. LCD Video Cables. Audio Ports. LCD Bezels. LCD Complete Assemblies. LCD Screens. Wireless Cards. IPad 2 LCD Connector Ribbon Flex Cable. What you get :1 x iPad 2 LCD Connector Flex Cable. Compatible :For iPad 2(NOT iPad 1). MUST READ! it may result in void of warranty. We will try our best to satisfy you! OEM original, used and working, pulled from iPad. 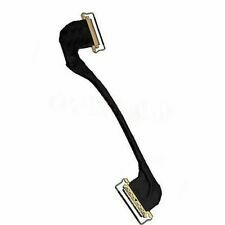 Flex Cable (LCD) for Apple iPad 2. Apple iPad 2nd Wi-Fi. Original LCD Power Switch Key Board Cable for. For Apple iPad 2 2nd WIFI Only. 1 piece LCD Power Switch Connection Board Flex Cable. Special skill and techniques required for proper installation. Think twice before you disassemble your phone. This is our SOP, for us to be certain and for record purposes. It is very important to test the LCD screen before you install it. You can do so by connecting the screen to the board without taking off adhesive on the back of LCD. This is an GENUINE APPLE Product. This is in 100% working condition. Original part for Apple iPad 2nd generation good for all models: A1395, A1396, A1397. Genuine Apple iPad 2 2ND Gen LCD Video Cable Free Shipping. Pulled from fully functioning but locked iPad. LCD Screen Flex Ribbon Cable for iPad 2 2nd Gen. Replace the cracked, defective, non-working LCD Screen Flex Ribbon Cable. If you are having video issues, this may need to be replaced. This used part has been fully tested and is in grade B to A condition. A1395, A1397, A1396. Product Line: Compatible with iPad. Product Information. Color : Not Specified. Type: Tablet. CHECK PICTURES FOR MORE INFORMATION. CHECK PICTURES FOR REFERENCE. As you can see from actual picture,( What you see Exactly what you get ). Check pictures for reference. Features: ---1. Type: LCD Screen Flex Cable Ribbon. ---2. High Quality LCD Screen Flex Cable Ribbon Replacement Part. ---3. Each Item is tested before shipping. ---4. Repair/Replacing old, broken, cracked, damaged LCD Screen Flex Cable Ribbon. Compatible with: ---For Apple iPad 2 2nd Gen Package Contents: ---1x LCD Screen Flex Cable Ribbon for Apple iPad 2 2nd Gen.
MacBook Air 13" A1369, 11" A1370 and iPad 2. MacBook Air "Core 2 Duo" 1.86 13" (Late '10). MacBook Air "Core 2 Duo" 2.13 13" (Late '10). MacBook Air "Core 2 Duo" 1.4 11" (Late '10). MacBook Air "Core 2 Duo" 1.6 11" (Late '10). For Apple iPad 2nd. We are always willing to work things out. LCD Panels for iPad 2 3G. Original LCD Panels for iPad 2 (WIFI Version). A1395, A1397, A1396. Product Line: Compatible with iPad. Product Information. Color: Black. Type: Tablet. Compatible: For Apple iPad 2nd. This is the Daughterboard for the iPad 2 WiFi models. Part Number(s): 820-2853-A. This used part has been fully tested and is in grade B to A condition. Apple iPad 2nd Wi-Fi 3G Version. Original LCD Power Switch Key Board Cable for. This is the daughterboard for the iPad 2. This is slightly different than the non-3G model. This has an extra connection for the 3G antenna cable. Part Number(s): 820-2853-A. This used part has been fully tested and is in grade B to A condition.